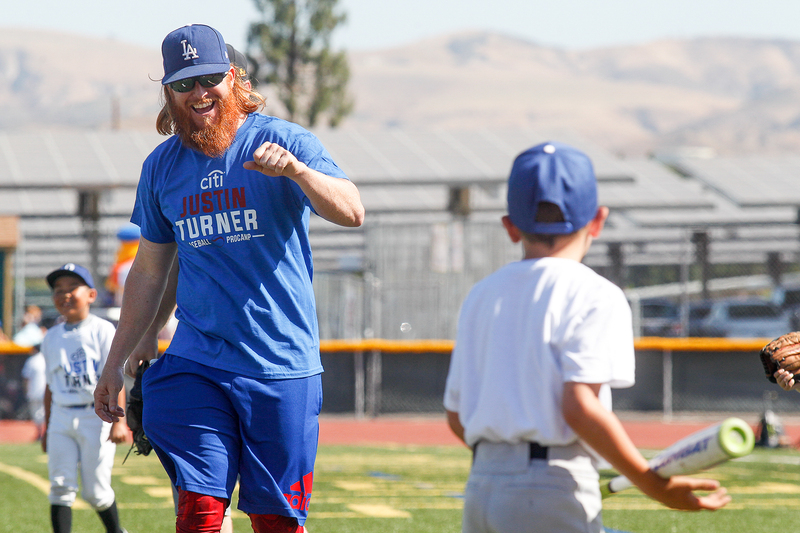 Los Angeles Dodgers’ third baseman Justin Turner cheers as Christian Vasquez, 6 of La Habra, Ca. 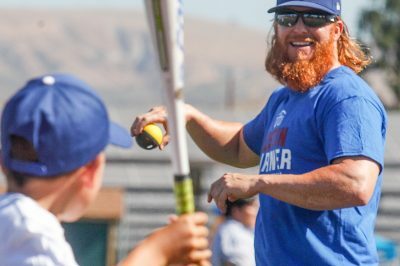 knocks down a stack of bottles on his first try during the Justin Turner Youth Baseball Camp on Thursday, July 27 at Royal High School. 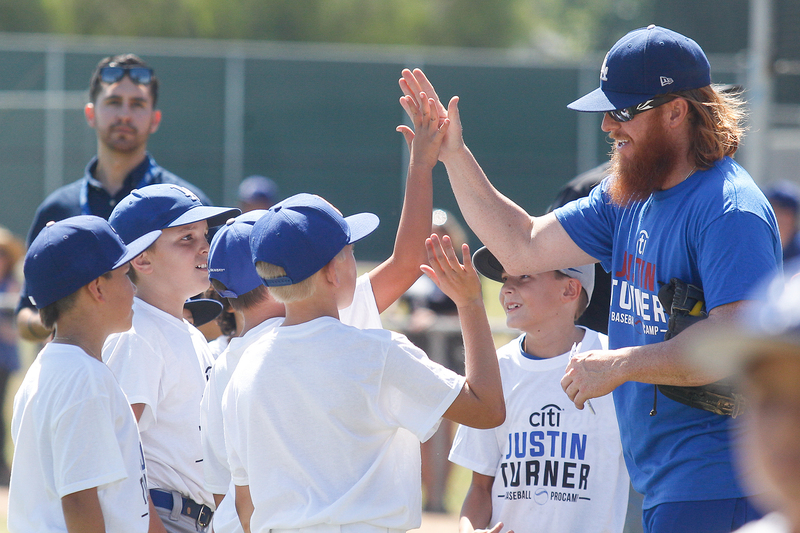 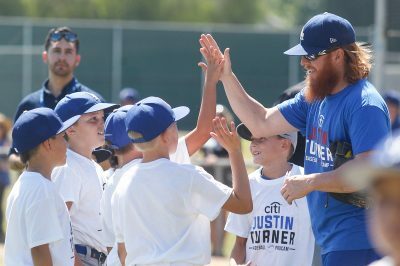 Los Angeles Dodgers’ third baseman Justin Turner gives hi-fives to a group of young campers during the Justin Turner Youth Baseball Camp on Thursday, July 27 at Royal High School. 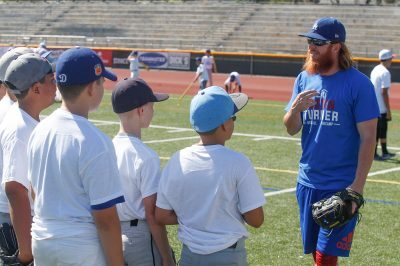 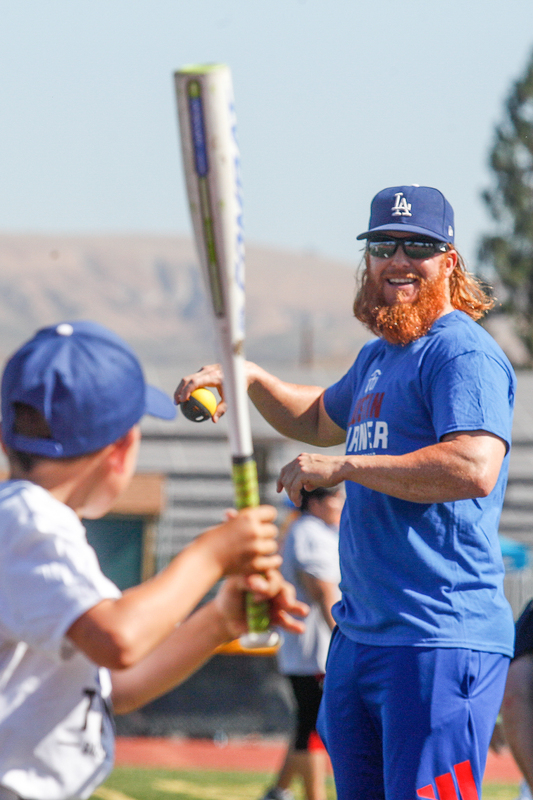 Los Angeles Dodgers’ third baseman Justin Turner speaks to a group of young campers during the Justin Turner Youth Baseball Camp on Thursday, July 27 at Royal High School. 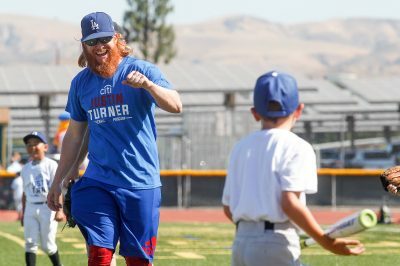 Los Angeles Dodgers’ third baseman Justin Turner congratulates a young camper for good hitting during the Justin Turner Youth Baseball Camp on Thursday, July 27 at Royal High School. 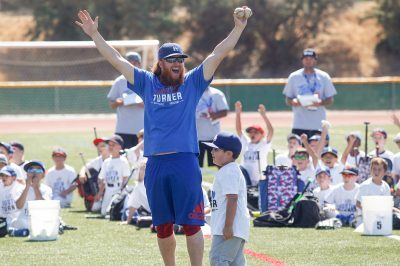 Los Angeles Dodgers’ third baseman Justin Turner pitches the ball to a young camper during the Justin Turner Youth Baseball Camp on Thursday, July 27 at Royal High School.